UPDATE 07/26/17, 6:45PM: A representative for Lush Cosmetics has reached out to share yet another "subtle" Valentina reference in the brand's marketing. This one comes straight from their Instagram and features a picture of a man wearing the Catastrophe mask, along with a headpiece fashioned to look strangely like the one Valentina was wearing when she was eliminated. Featuring the same "I'd like to keep it on, please!" phrase in the caption, the post takes it one step further by referencing yet another Valentina-centric moment with the hashtags #perfect, #beautiful, #model, and #lindaevangelista. In my opinion, someone at Lush deserves a raise! We've already established that Valentina was the de facto star of the ninth season of RuPaul's Drag Race even though she was eliminated halfway through the season's run. But the truth of the matter is that, aside from being one of the show's best style savants and a great representation for those who are (like Selena Quintanilla before her) "Chicano, Mexican, first-generation, and talented," a large portion of Valentina's stardom can be traced back to her elimination, specifically. Making a good case for this assertion is Lush Cosmetics, who have immortalized the Los Angeles queen's elimination on their website. 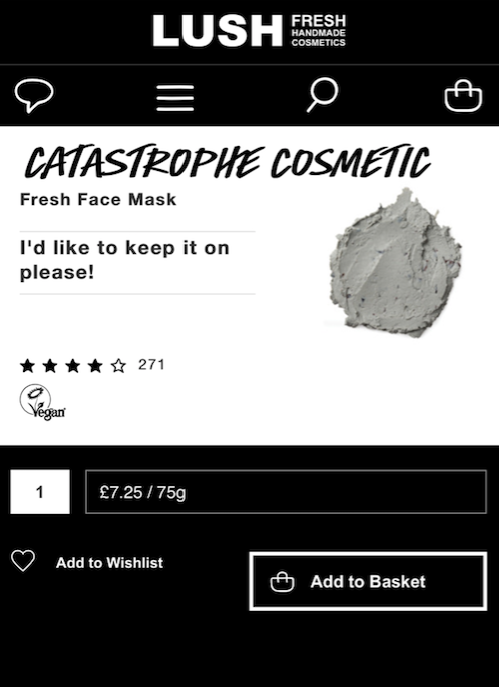 In a description for the beauty brand's popular "Catastrophe Cosmetic Fresh Face Mask," one of the company's genius copy editors had the idea to put, "I'd like to keep it on please," a nod to Valentina's infamous dismissal that is brilliant on multiple fronts. I mean, who wouldn't want to buy a mask that you never want to take off? But also, it's literally called catastrophe. In a tweet from a few days ago, Twitter user @swiftptx pointed out the observation. A double-check on Lush Cosmetics European website confirms the finding.